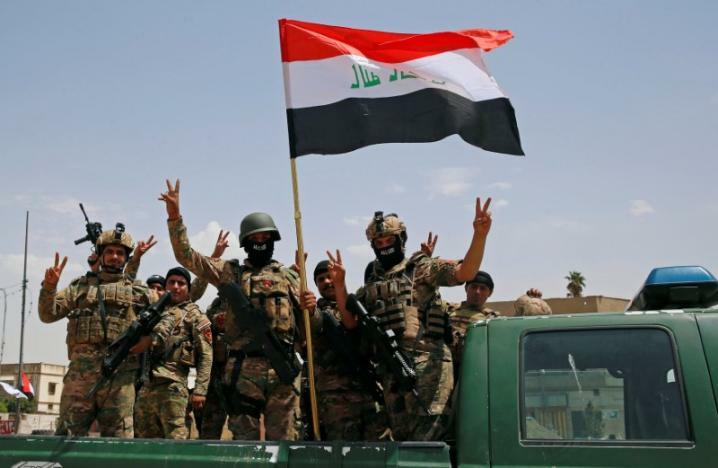 Iraqis are reportedly planning to celebrate their difficult victory in the capture of the important city of Mosul from the terrorist group known as ISIS. Iraqis prepared to have celebrations on Sunday just by raging battles in the last districts of the city where terrorists are dug in but are being cleared out. However, the militants are hard to clear out because they're dug in and this means that the Iraqi military needs to go from house to house as they can not use the streets because of sniper fire. The battle is basically over because the militants in the city are surrounded and are cut off from supplies so they will inevitably be removed. it is said that soldiers even tied white banners to flags, destroyed buildings, and lamp posts. Some of the most notable buildings are the Grand al-Nuri mosque and the Hadba Minaret. Sadly the minaret and mosque were blown up in June by the terrorist because they might have rather seen it destroyed rather than captured. It must be noted that the mosque was the location where ISIS' leader Abu Bakr al-Baghdadi, declared a caliphate. The fall of the city would be the end of ISIS in the region as it is their last stronghold in Iraq. However, the terrorist group is still in Syria. The militants also hold some territory south and West of Mosul. Air strikes are in the area likely to have helped in the recapture of the city. The entire city is expected to be captured by the elite CTS (Counter Terrorism Service) by the end of this week. Celebrations might be happening nationwide according to the government. Even the Prime Minister Hider al-Abadi might be making a visit to Mosul to declare the victory. Abadi called ISIS "a state of falsehood"